Hey everyone, before I get into this article, just want to acknowledge the fact that I haven’t made a post in nearly a month. Over the past couple of months, opportunities have arisen to advance my career, and I’ve been dedicating more time towards tying those strings together than I have in the past, so while I’ve had time to test Pokemon, the time I’ve had to write about it has diminished quite a bit. However, I promise that I will make room to write more during the remainder of June as we head up to U.S. Nationals. This leads me to the introduction of the article series Trail to Nationals 2014. The goal of this series of articles is through the combination of them all to give you a comprehensive look at the format as we head towards U.S. Nationals. The first segment of the format that I am discussing in this article is the introduction of Druddigon to the format and what it means for the health of both Blastoise and Emboar decks, the two decks most likely to be impacted by the introduction of Druddigon. In my preview article for Flash Fire, I ranked Druddigon as the 11th best Pokemon of Flash Fire. Upon reviewing a lot of other set reviews, the general consensus is that Druddigon is a Top 10 Pokemon from the set, with many putting it in their Top 5, with some even ranking it as the best Pokemon in Flash Fire. I stand by my ranking of 11th which I will defend below, and I think anyone ranking Druddigon as high as their Top 5 from the set are taking a more near sighted view to the card, as Dragon weak Dragon Pokemon won’t be a major element of the game past U.S. Nationals with Rayquaza EX being rotated, and Blastoise being impacted negatively by the impending rotation of Tropical Beach, and all new cards being absent of Dragon type weakness. I took into account its short lifespan as a competitive card into account when doing my rankings in the first place, and Druddigon would have admittedly been ranked higher if I just took the current format into account. 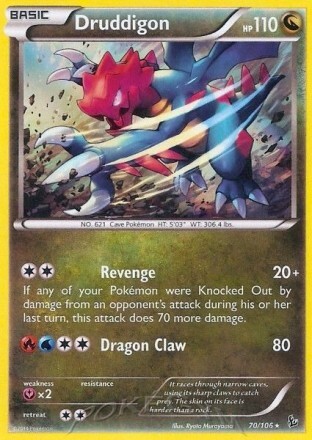 To get those who may not be familiar with the card, Druddigon is a Basic Dragon type Pokemon with Fairy weakness and 110 HP, which has a Revenge attack that costs [C][C] and does 20 damage, plus 70 more damage if one of your Pokemon was knocked out from damage from one of your opponents attacks the previous turn. Now first review is simple, the card provides a solid counter to the big powerhouses of the two Rain Dance decks in the format as it’s a non-EX that can OHKO their Dragon weak EX’s for just a DCE attachment, making it splashable in most decks in the format. This is obviously strong, and something that levels the playing field against two decks that were some of the strongest during State Championships and Spring Regional Championships. One thing to note is Druddigon has a Fairy weakness. I’ve seen many articles discussing Blastoise and Emboar, where players talk about using Rayquaza DRX, Black Kyurem BCR, or a Druddigon of their own as a counter to Druddigon, but none of these work as a proper counter to Druddigon as none of them can OHKO it because they do not hit it for weakness. If you do choose to play such a deck at Nationals, don’t make this mistake! 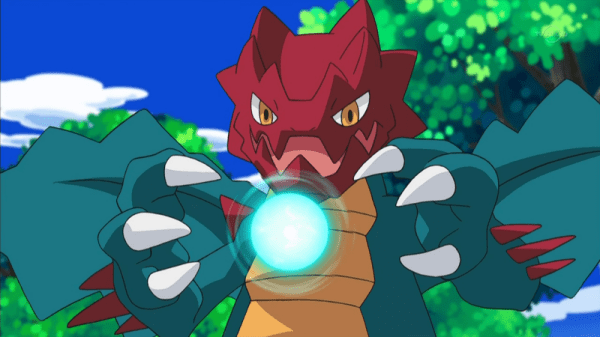 Now as far as effectiveness goes, I don’t think Druddigon is as effective as most players think if you build your deck with dealing with Druddigon in mind. There are a few ways to get around the effectiveness of its crippling OHKO attack. The first, is to use gust effects to bring it up and knock it out before it has an opportunity to heavily impact your game. Both Blastoise and Emboar decks played Pokemon Catcher during last format, so this will be a valid strategy for both decks. Both decks also have the option to play Lysandre for the certainty of dragging up the Druddigon as well now. If you have the means to bring up Druddigon before it can be a problem, then it will impact how the opponent can play the game. They will have to try to setup turns where they surprise drop Druddigon and DCE, forcing them to have a combo in hand to pull it off, and if you hit them with a flurry of N’s, you can decrease the probability of that happening greatly. The second means to dealing with Druddigon is to smartly exchange prizes with your opponents. For example, if you are playing Emboar, you knockout an EX with Rayquaza EX. Your opponent knocks out that with Druddigon. You knock it out with Reshiram. They probably need to go to an EX to knock that out, at which point you go back to Rayquaza EX for the knockout. Under this scenario, you’re opponent is never able to gain an advantage on your in prizes in the exchange, and with N as a valid disruption card, you can prevent some of the revenge KO’s on Rayquaza EX from even happening. It’s important to use a non-EX in this prize exchange with Druddigon. For example, if you are playing Blastoise, and you knockout a Yveltal EX with Black Ballista, and then they knockout your Black Kyurem EX with Druddigon and you knock that out with Secret Sword. From there, they can use a Yveltal EX to knockout your Keldeo EX and jump ahead in the prize exchange. I played Emboar at a league challenge last month, placing third (losing only to a Yveltal EX deck without Druddigon), and I gained confidence in playing the deck after seeing how little of an impact Druddigon actually had on the matchup, and that ended up proving true during the actual tournament as I was easily able to navigate matchup against a couple decks that featured Druddigon. 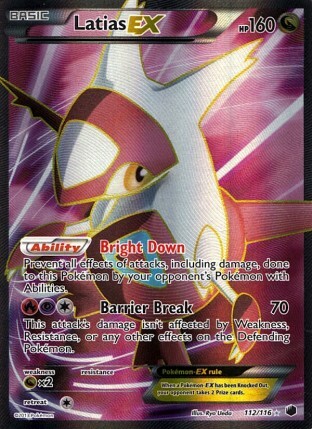 There is one other card that Druddigon can counter, and that is Latias EX, which may see play in Plasma as a Pyroar counter (making Druddigon a potentially good play in Pyroar based decks to counter Latias EX and create a favorable prize exchange). The best way to counter Druddigon for this deck when using Latias EX to knockout a Pyroar is to do something I did during State Championships, and play Hypnotoxic Laser and Virbank City Gym. If you have a Latias EX with Muscle Band, and use Hypnotoxic Laser with Virbank City Gym in play, you will knockout the Pyroar, but the Pyroar will be knocked out from the Poison damage rather than the attack damage, not triggering the added damage for Druddigon’s Revenge attack. The last thing I want to do is discuss when you should be putting Druddigon in your deck and when you shouldn’t be, because I see players splashing Druddigon in all kinds of decks when they shouldn’t be. The simple answer is that you should put Druddigon in your deck when it will have a noticeable impact on the outcome of a matchup. Here is an example that stuck out to me recently, which was playing Druddigon in Virizion EX/Genesect EX. If you play Druddigon, you still probably lose to Emboar as they will spend most of their time attacking you with their non-EX Fire attackers. If you pilot the deck correctly, you should beat Blastoise most of the time without Druddigon. So by adding Druddigon to the deck, you turn your Emboar matchup from absolutely horrible, to pretty horrible, and you take your Blastoise matchup from really good, to auto win. Neither of these matchup changes will do much to change your results against these decks, so playing Druddigon in this deck is just a waste of space. Something like Yveltal EX/Garbodor has a better case for playing Druddigon. As I will discuss below, I think Flash Fire gives Rain Dance decks a better fight against Garbodor based decks, so in this case, Druddigon could be the card that keeps those decks in a strong matchup category. 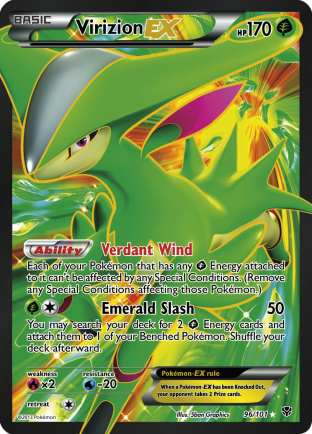 I’ve seen players say that they will play Druddigon anyhow because it’s a universally good card, but that isn’t actually the case. 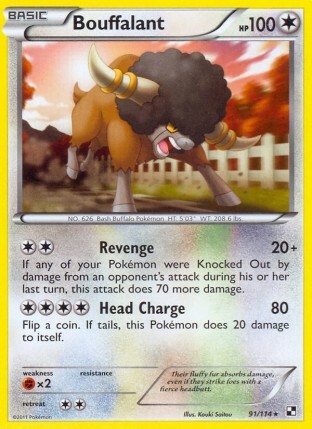 There is a card in format called Bouffalant LTR, which is a Colorless Pokemon that has 100 HP and has an attack called Revenge that costs [C][C] that does 20 damage and 70 more damage if one of your Pokemon was knocked out from the damage of one of your opponent’s attacks the previous turn. Notice the similarities? When’s the last time you saw Bouffalant in a competitive deck (ZPST was probably Tier 1 when you last saw it…. ), yeah no one plays Bouffalant because it’s bad, and if you think the 10 HP difference is enough to make Druddigon universally good, then you’re just deluding yourself based on the hype others have given to Druddigon when Flash Fire was leaked. With that in mind, we can make the assertion that Druddigon makes a deck worse compared to a more suitable replacement card(s) in any matchup in which Druddigon is not going against a deck with a Dragon weak EX, which provides us with a meta game dilemma. If you expect to play against no Blastoise or Emboar during Nationals, then Druddigon is making your deck worse. I don’t think it’s too big of a stretch, I didn’t play against a single Blastoise or Emboar deck during three State Championships and two Regional Championships in the Spring. So if players decide they won’t play against Blastoise and Emboar, then they drop their Druddigon counters, weakening their matchups against these decks, making Blastoise and Emboar potentially better plays for the tournament. I’d like to say there is an easy solution to figuring out which way this question will be answered, but I think we end up with a gambling situation here. If this was something like City Championships, we could see the meta game sway back and forth between the too, and effectively choose when and when not to play these decks or play Druddigon. However, with something at Nationals, I think you’re just taking a gamble as to whether Druddigon will see a lot of play/will Blastoise/Emboar see a lot of play. So with this, I say, take a sobering look at how beneficial Druddigon actually is to your deck before you just decide to throw it in. There are decks like Pyroar, which I think should play Druddigon no matter what, just to counter Latias EX in Plasma. There are decks like Virizion/Genesect which shouldn’t play Druddigon no matter what. And then there are decks like Yveltal EX which could go either way on the card. If your deck is in the last category of decks you just have to go with your gut or flip a coin on it, as there won’t be any easy way of determining the correct answer to the question. Blastoise, Does It Become Badstoise? For most of the past two seasons, there has been one deck who has been figured out with the optimal lists, and has since remained largely unchanged. After Blastoise got Superior Energy Retrieval with the release of Plasma Freeze, the deck has seen little change, with just some small tech adjustments as time has went on. The most important part of all this, is that Blastoise has remained good through all this time, making it the standard bearer of Tier 1 for much of the last year. However, this might finally be the time that Blastoise falls. There are a lot of meta forces going on that could lead to the fall of Blastoise. So far at most foreign National Championships, Virizion EX/Genesect EX and Yveltal EX/Garbodor DRX have been the two most dominant decks, and both decks share a strong matchup against Blastoise. Additonally, TDK is able to make good use of Lysandre, which would serve to strengthen its Blastoise matchup, which I already think was fairly strong. 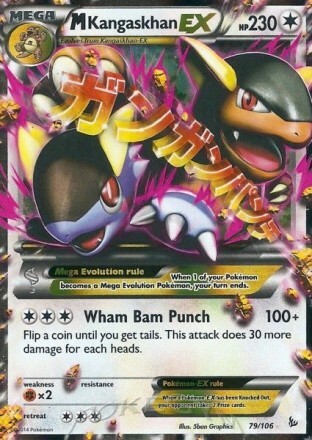 Lastly, there is the release of Mega Kangaskhan EX, which a lot of players in the United States like as a deck concept. M Kangaskhan has 230 HP, so it can withstand a Black Ballista, and then any damage you do do to it will just be removed with Max Potion. However, in the process of writing this article, there have been some recent meta developments. Most notably, the first place finish of Charizard EX/Pyroar FLF at Singapore Nationals, one of the most competitive foreign nationals in existence. If players in the US are able to figure out the magic combination that lets that deck thrive, then the meta could shift for Virizion EX/Genesect EX to lose strength, while simultaneously giving Blastoise another meta matchup that isn’t a terrible matchup. Overall, I don’t think the meta will shift in any way to really give Blastoise much more strength. Players will still play Virizion EX/Genesect EX regardless of Fire, which would still probably be more of a minor part of the meta game, even with the recent development to most players that it is in fact good. And Yveltal is fairly strong against Charizard EX decks, so don’t expect Garbodor to be going anywhere in this format. 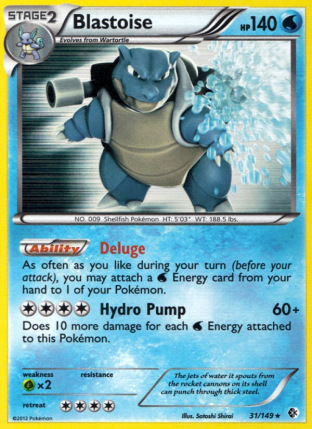 And of course Druddigon will be going in some decks too, which hurts Blastoise and forces it to adjust. All things considered, Blastoise is a deck that I have dropped all credence and consideration of for a deck choice at US Nationals. I don’t think the deck is positioned to do very well, and the lack of many Blastoise decks making Top 8’s at other Nationals gives some strong proof to this idea. With all that said, here is how I would build Blastoise to best compete in the new format. On the Pokemon front, the influx of gust effects into the format makes me cave and finally put in the 4th Squirtle. I like Wartortle in here now, not only for consistency in getting Blastoise setup, but it also gives you a Pokemon that can knockout Pyroar while not sending your Blastoise into the line of fire. 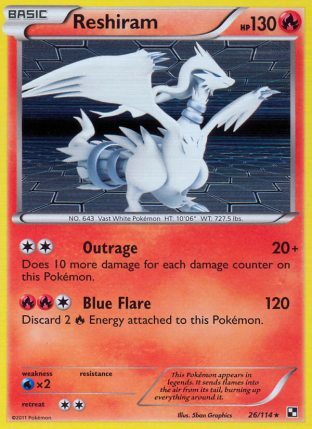 Kyurem PLF is inserted into the deck to give you a proper response to Druddigon. I like these 130 HP, non-EX basics in Rain Dance decks a lot as they can provide good meat shields to start the game and are usually not prizes you mind giving up to start the game. 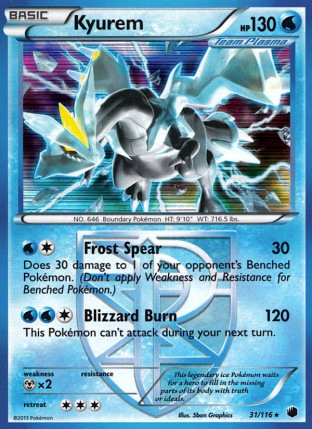 Kyurem also provides a snipe attack with Frost Spear, which could have some niche uses here and there. 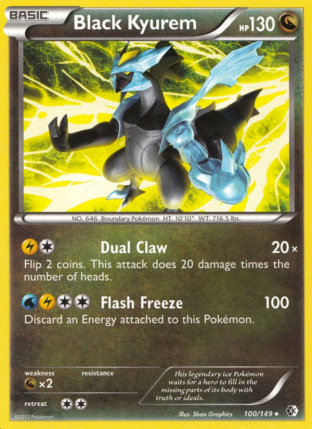 I cut Black Kyurem BCR from the deck, because I don’t think Rain Dance decks will be a big part of the format anymore, but if they start picking up momentum, I’d just cut a Kyurem PLF for one of them. The Supporter line isn’t too out of the ordinary. I think discarding multiple Superior Energy Retrieval is crippling to these decks, so I try to play a smaller Juniper line. Recognizing that Blastoise still likes a lot of draw, I have 3 Colress in there, and that is your main big draw Supporter for the deck. I feel Jirachi allows you to get away with such a Supporter line as you can grab the optimal early game Supporters with a ball if you start something like Colress. I went with a 1/1 Lysandre/Pokemon Catcher split. I think Blastoise still will want to use Skyla/Colress for the turn a lot, making Lysandre less than optimal in the deck when you still need to be drawing/searching with your Supporter for turn, so I included Pokemon Catcher to give a chance at gust even while playing another Supporter for the turn. With that said, sometimes you will take some prizes, have everything you need in hand, and in those situations, Lysandre will be useful, so it was too good not to play as a 1-of. I have been pretty surprised at the lack of a discussion for Emboar in this format, as it seems to gain strength, rather than lose strength when all things are considered with the release of Flash Fire. The biggest thing the deck gains from Flash Fire is Lysandre. With Delphox XY, you are able to use Lysandre for your Supporter for your turn while using 1-2 Mystical Fire Abilities for draw for your turn. Being able to utilize Lysandre so effectively improves Emboar’s matchup against Garbodor as you can effectively clear a Garbodor off the field with Lysandre, and most Yveltal decks are playing a smaller 2-2 line of Garbodor and generally struggle to get multiple Garbodor out in a game. Additionally, being able to use Lysandre effectively lets Emboar proactively deal with any Druddigon threats on the field. In addition to letting you use Lysandre more effectively than Blastoise, Mystical Fire also lets you use N more effectively to disrupt your opponent with little impact on your hand size. As far as meta effects go, Emboar seems as well positioned as ever. Virizion EX/Genesect EX gained momentum at the end of last format, and Emboar has a very favorable matchup against that deck. Any Mega decks or Aromatisse decks are also very favorable matchups for Emboar, as Rayquaza EX doesn’t have a damage cap and is able to easily knockout these Pokemon. Lastly, against Charizard EX/Pyroar FLF, Emboar has a built in response with Delphox, and can use Lysandre effectively to play around Pyroar as well. TDK will pose some threats for Emboar, as they can so easily drag up your Emboar with Lysandre and knock it out, but in testing, the matchup seems like a true 50/50, as you can target their Energy with Lysandre to gain an advantage in the matchup. Overall, I’ve been very happy with how Emboar has performed for me, and I think it’s the better choice between itself and Blastoise if you want to play such a deck. Here is my Emboar decklist for the current format. I’ve used it to a third place finish at a League Challenge last month, beating a number of decks with Druddigon in them, seeing little effect of that card on the matchup. The Pokemon remain fairly straight forward. I’ve cut Rayquaza DRX from the deck as I expect Rain Dance to be such a small part of the meta game, limiting its usefulness. I kept Reshiram in the deck, as it is still very good against Virizion, Safeguard Pokemon, and is a non-EX to exchange with Druddigon with. The trainers should look fairly standard as well. The one thing I’ll make of note is the 2 Lysandre/1 Pokemon Catcher split. I think there is a temptation to play just all Lysandre, but I think the split is the right play. With only 1 Professor Juniper in my list, you’re unlikely to ever discard your Lysandre, and two gust effects when you should be ohko’ing anything you bring up is more than enough. 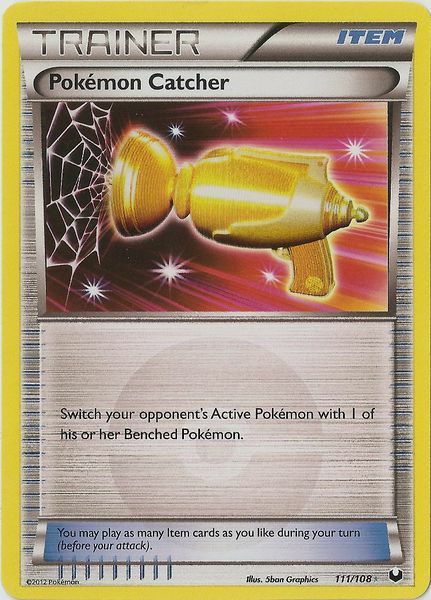 So with the third gust slot, I went with Pokemon Catcher to give the possibility of playing another Supporter card while still bringing up one of your opponent’s benched Pokemon. To understand the usefulness of Pokemon Catcher, here are a couple of scenarios. You look at your hand, you have Pokemon Catcher, and Superior Energy Retrieval, and say N in hand and maybe some other insignificant cards. With such a hand, you can use Pokemon Catcher to start your turn, and see if you get heads or tails. If you get heads, then you’re free to use your Superior Energy Retrieval to get the Energy for a knockout and just play N, and then Mystical Fire to reload your hand. 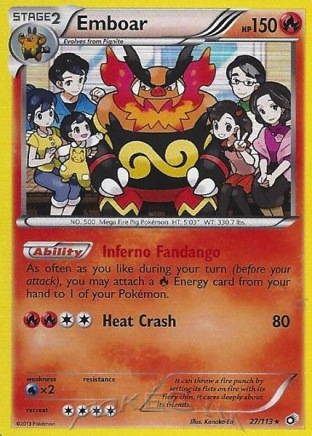 This would undoubtedly put you in a stronger position than if you had just played a Lysandre for turn. If you flip tails with such a hand, you can then play down your hand, possibly playing the Superior Energy Retrieval before hand if you will use the same attacker or saving it if the lack of a gust effect would change your attacker for your turn. You then Mystical Fire to see if you get the Lysandre, and if you do, you can then gust still, and if not, just N and play it out. Other times, you will have to play another Supporter regardless to get resources. Say you Mystical Fire, get a Colress, and then play Colress for 8. 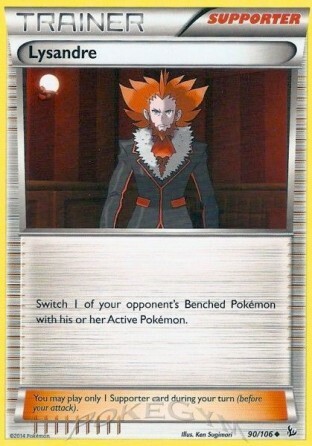 If you had drawn a Lysandre off the Colress, you couldn’t play it immediately. With Pokemon Catcher under such a scenario, you could potentially gust something up, even after having used a different Supporter for your turn. I think 1 Startling Megaphone with Dowsing Machine is enough to beat Garbodor now. You just have to make using Lysandre to knockout their initial Garbodor as part of your strategy, but if you play the matchup smartly, I think you should be able to effectively beat those decks with just the 1 Megaphone. To recap, Druddigon is certainly a good card that impacts both Emboar and Blastoise decks, forcing them to adjust. However, by exchanging with non-EX’s and using gust effects to pro-actively deal with Druddigon both decks can still find success even with Druddigon in the format. I don’t expect Rain Dance decks to be very heavily played at US Nationals. I think Blastoise has a lot of problems going for it that will make it a poor choice for the tournament, but I think Emboar is still a very good deck that could see a lot of success at Nationals. I’m still really curious as to what Chari-EX deck build won singapore nats. My deck is also Chari-EX based but is still a glass cannon deck. Anyone has this info yet? As far as I’ve heard, there wasn’t much special about it. Just Charizard/Pyroar, and maybe Druddigon, but I don’t think he played anything outside of Charizard and Pyroar. I think it was just as strong meta call with a lot of Virizion in their format. Charizard doesn’t have a horrible Yveltal matchup (it’s not great, and I think definitely in Yveltal’s favor, but Charizard isn’t a giant underdog), and he did lose to the Flygon deck 2-0 in swiss, but managed to beat it in the finals. (Flygon can be inconsistent some). Thanks Andrew, I’m hopeing we get more cards to complement FLF in the next set. A strong, well thought out article. You obviously put thought and testing into your lists. I liked your observations of Druddigon. I’m curious to your response about the Charizard win in Singapore. My testing/assumption leads me to believe it was similar to your list you posted with Electrode and a high count of Lysandre’s without the roller skates. It has an “OK’ Yveltal match-up. I think the surprise factor was big. I am surprised that Flygon/Accel was able to finish 2nd if Virizion was big in the field. Your thoughts? Again, your responses and passion for the game is cool. Sorry for taking a little long to respond to this, been busy as of late. I think the Charizard win there was a result of a lot of Virizion, and from what I’ve heard, the Flygon player misplayed really badly in the finals to lose it (the Flygon player 2-0’d the Charizard deck the last round of swiss), and I think they only got one game in during top cut, but might be wrong on that. And I think it is probably pretty similar to the list I posted. I’ll be writing about Charizard and Pyroar again in the next week and a half. I believe it just played 3-3 Pyroar and then Charizard, and was aggressive with Pyroar like you said. Working on the first list I posted, you can probably cut Electrode down to 1-1 for 2 Lysandre, and I think from there work on cutting the Protect Cube/Mega Charizard next. My gut instinct would be to cut the Protect Cube and go 3-2 Pyroar, and then keep Mega Charizard, just because 300 damage is pretty intimidating, and even with doing damage to yourself, 170 can be difficult for a lot of stuff that isn’t Yveltal/Deoxys/Kyurem/Mewtwo to knockout, still giving it a game changing place in the format. Lastly, I would probably cut down to 1 Random Receiver for another Fiery Torch. Flygon/Accelgor certainly doesn’t like playing Virizion, but it’s not a horrible one. In general, between Flygon and Accelgor, you can get a lot of damage on the field letting you target down there Genesect’s with Energy, and then if you can keep them out of G-Booster, Mewtwo EX is great for finishing off Virizion/Genesect, especially if you have extra damage to move to stuff. I always found the matchup to come down to knocking out two Genesect’s, and once you did that you were good. Just have to hit the Max Potions at the right time to prevent your Flygon’s from getting ohko’d.